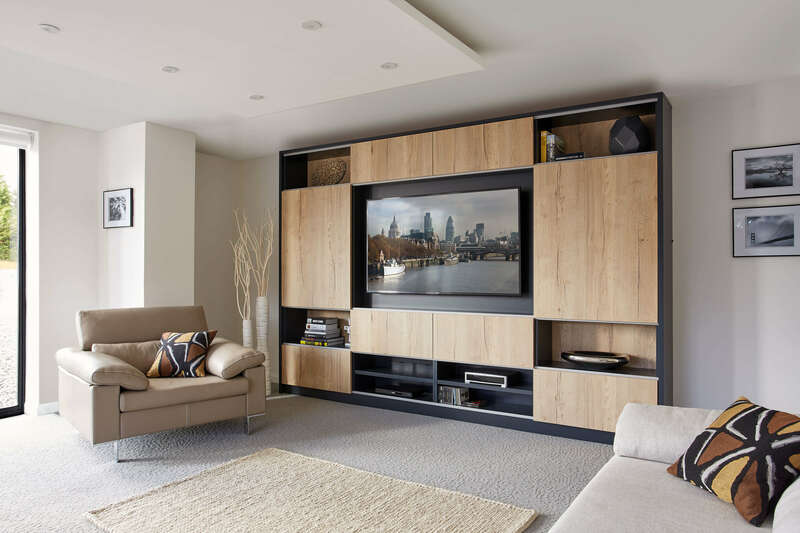 This contemporary lounge features our new tactile Rustic oak finish, in a crisp simple design that incorporates stylish storage with a dedicated media centre. 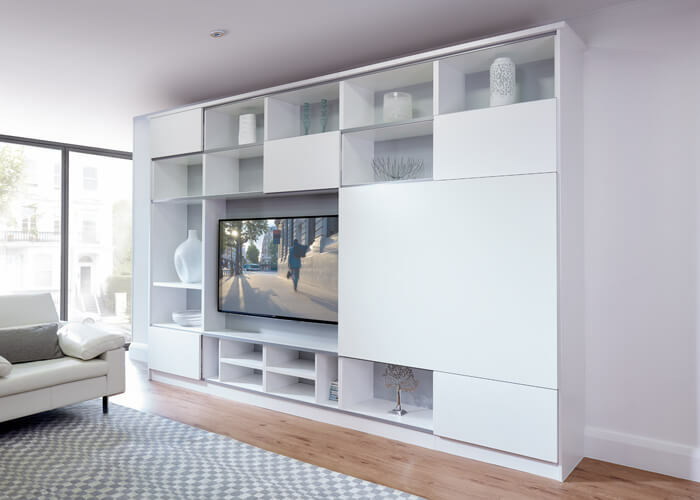 Unsightly wires and cables are hidden away, with sliding doors to alternately cover or reveal the TV and other electronics as desired. Designed and built to fit the proportions of the room, this contemporary lounge furniture can be adapted for your space, making it a perfect addition to any home. 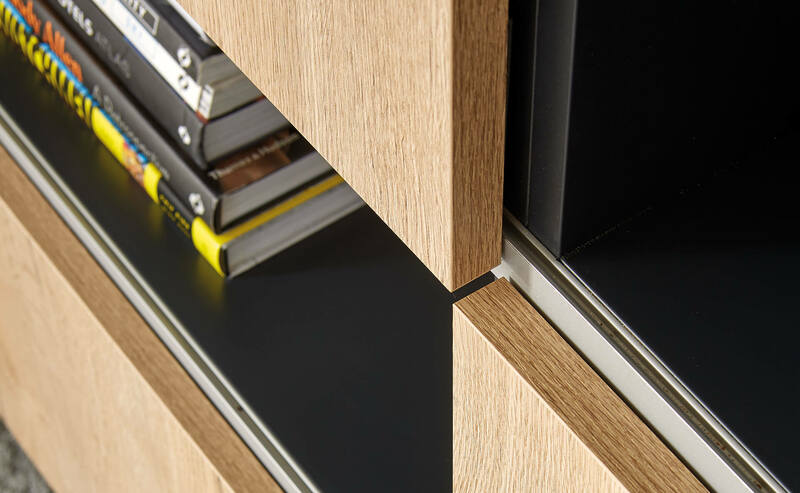 Our exclusive Levigo sliding door system allows us to divide your furniture with contrasting panels that transform the use and look of your cabinets in one smooth move. 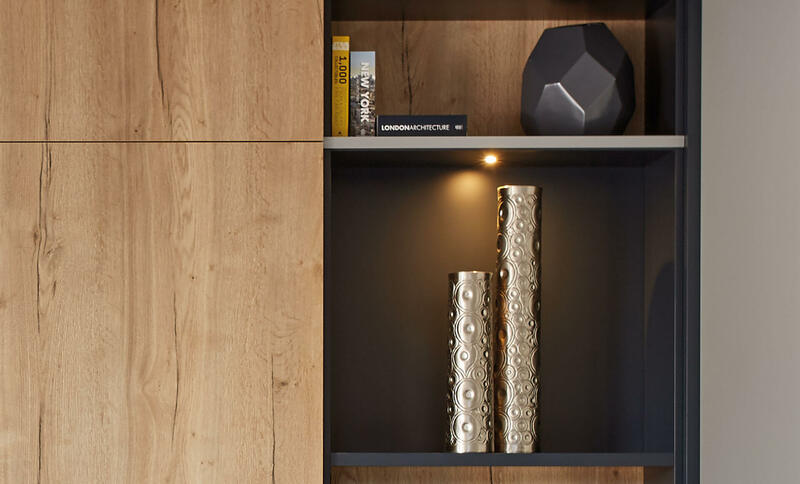 Motion activated lighting is integrated into the display shelving to beautifully showcase your belongings at any time of day or night. This contemporary walnut lounge and study solution has been expertly designed to make the best of the open plan layout. 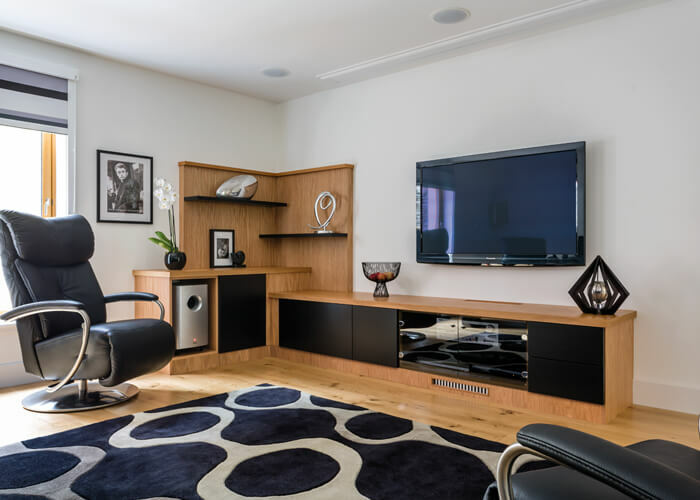 Our home cinema solution makes the most of the interior space with its modern streamline design.